Fig 1. 1100 bar 45 litres per minute. Fig 2. 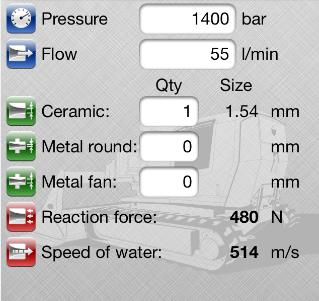 1400 bar 55 litres per minute. If these companies are utilising these kinds of water pressures when carrying out their hydrodemolition services, what will the reaction forces be like? 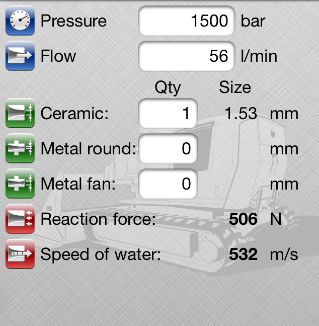 As you can see from these images, these pressures create great reaction forces of more than 250 Newtons. If you’re running a construction company and you’re in need of a hydrodemolition company to carry out some work for you, but have no previous experience in this matter, you may be unaware of the potential hazards associated with the process. 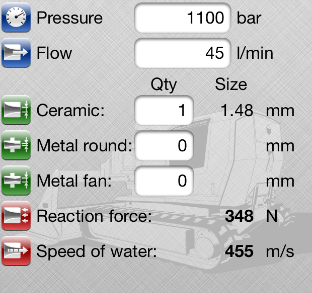 If you hire a company that uses these water pressures, but doesn’t make use of the right mechanical equipment to handle these strong forces, you could be going against the law. When choosing a hydrodemolition company, make sure to read their Risk and Method statement and ensure that you’re working with a reputable firm who stick to all the required legalities, otherwise you could be risking injury or damage to your property, not to mention legal difficulties for your business. You have now been alerted and informed.